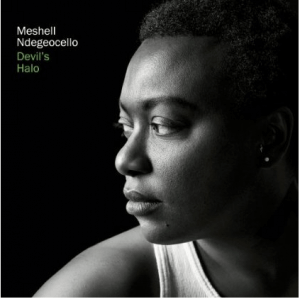 Devil’s Halo, (released earlier this month on Mercer Street Records) is the 8th album from über bassist, composer, and producer Meshell Ndegeocello. 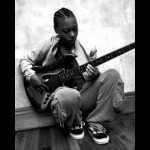 Meshell Ndegeocello has never been one who has been afraid to state for the record (pun intended) exactly what she is feeling musically at the time. I would expect nothing less from a musician who has shared the stage with artists as genre diverse as The Rolling Stone, James Blood Ulmer, The Five Blind Boys of Alabama and Chaka Khan. Of course the list of musical acts that have benefitted from her immense talent goes on and on, but the point is when you discuss the music of Meshell Ndegeocello you’re discussing exactly that…music. I don’t know if I can be any clearer when I simply submit music as the catch-all adjective, but there are just some musicians who defy categorizations. One of my favorite quotes about music is from the French Composer Claude Debussy “Music is the space between the notes.” For me, Devil’s Halo adapts that concept of space on numerous levels. First, the entire set is 12 tracks (remember vinyl albums?) and the majority of the tracks are between two and a half to three and a half minutes long. Second, the instrumentation: Bass/Vocals -Meshell Ndegeocello, Guitar- Chris Bruce, Drums- Deantoni Parks, Keys- Keefus Ciancia, Background Vocals- Oren Bloedow, Mark Kelly, Cello- Lisa Germano. Now that’s a band. When you play with live musicians you must be instinctively aware of the space you create and the space being created around you. Now we should consider the last component that follows this concept of space: Process. The process for recording this record was to simply get the musicians in the room and play to tape. There are overdubs but quite frankly the sound you hear was crafted through the process of playing together. 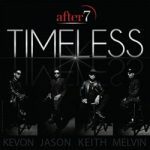 There is a certain energy that is created when musicians play together and that energy comes across on this recording. Each and every instrument in the band has it’s own space and the clarity of the individual voices combine to create an overall audio warmth. Devil’s Halo is a great listen from beginning to end. I even found myself reliving some of the wondrous days of my youth when I heard some production nods to a few of 80’s heroes, most notably Prince and the Police. Meshell’s cover of the Ready for the World 1986 classic “Love You Down” is definitely strike a candle and vibe music. 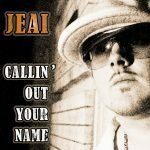 The track really breathes and is supported by a definite acoustic-electro flavor. Other standout tracks are “Slaughter” which simply rocks, the contemplative “Die Young” and “Mass Transit” which gave me a much needed 80’s new wave fix. Devil’s Halo is a definite 12-bar recommendation from yours truly. Which simply means this is definitely one for the collection.